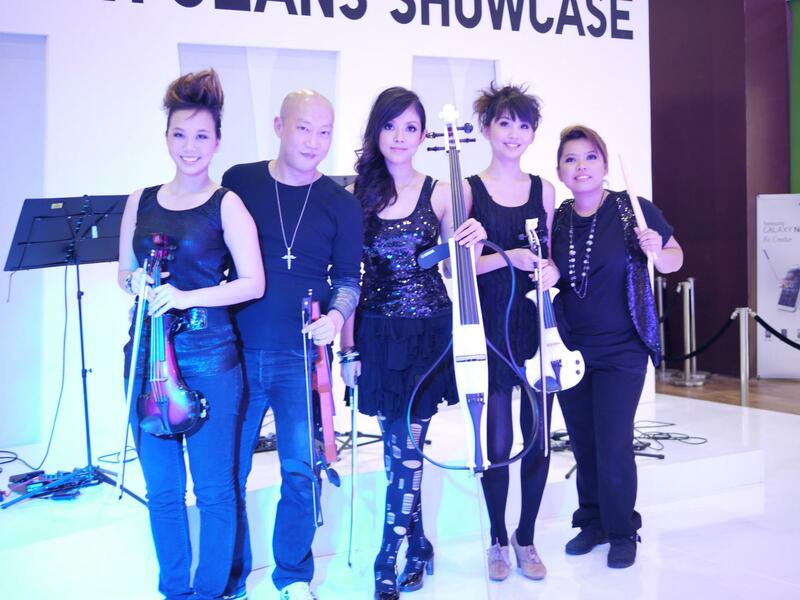 Launched in 2011, PIEZO Quartet is Singapore’s premier professional ELECTRIC STRING QUARTET and the very first of its kind in Asia. Acclaimed for its intensely emotional musicianship and highly electrifying artistry, PIEZO shatters musical boundaries through its plethoric sound creations on an all-electric strings platform, layered across multiple sound effects processors. PIEZO embodies the best of a string quartet and a rock band— charming the hearts of audiences, and galvanising crowds into rockin’ out together with its sizzling performances. Inspired by the technology that drives all electric musical instruments, the quartet named itself “PIEZO” with a mission to transform motion into electricity in all its musical endeavors. Armed with a unique repertoire that includes original arrangements of chart-topping English and K-Pop hits, PIEZO offers a colorful sound spectrum that spans from beautiful electro-acoustic tones to dazzling effects-driven rock sounds. With an impressive track record of major big-scale shows to its name, PIEZO is poised to become the hottest and most sensational live- performance feature act in the region!